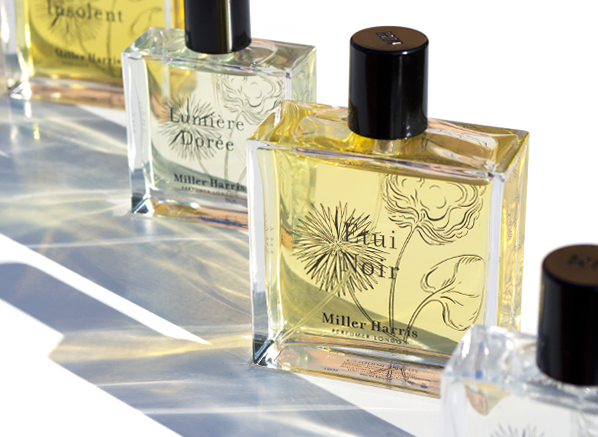 If you’re reading this article then it’s likely that your interest in perfumery has led you to the house of Miller Harris. Founded at the turn of the century by perfumer Lyn Harris, this brand paired the art of perfumery right back to the materials, offering fragrances with a natural feel that showcased the beauty of citrus, flowers, mosses, and woods in all their respective glory. For the most part, Miller Harris is a brand that one associates with simplicity, nature, and transparency – at least it was. Things are a changing! Sometimes a fragrance really lives up to its name and Lumiere Dorée is perhaps the perfect example of this. Meaning ‘Golden Light’, this ode to orange blossom and neroli is as bright and sparkly as they come. It opens with an enveloping wind of crisp, starchy petit grain, accompanied by the sharp gleam of citrus. Orange blossom and neroli join the foray to bolster the white floral notes, creating a blanket effect that feels as if a hurricane has hit an orchard of orange trees, leaving a trail of beauty as opposed to destruction. In the base, white musk and vetiver clash, making for a contrast of smooth and sharp, carrying Lumiere Dorée through to the dry down with a complex blend of textures. When I smell this fragrance I think of a sunset over the ocean. As the sun hits the horizon it turns the tips of the waves into golden beacons, each one gleaming and sparkling like dew drops on orange flowers under the sun. 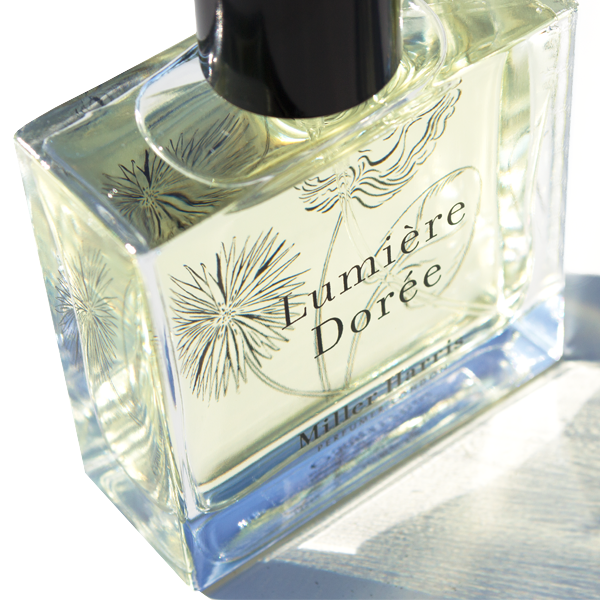 Lumiere Doréee really does smell like endless golden light. A regular complaint I hear about rose fragrances is that they feel dated and the association tends to be that a rose scent is something prim and proper, rather than something cool and contemporary. So I will start by telling you that Rose Silence is a thoroughly modern rose as well as one of the prettiest roses on the planet. On the rose spectrum, Rose Silence sits at the fresh garden rose end, evoking the idea of pale pink roses cut from the bush. It opens fruity with mandarin and blackcurrant, giving a contrasting impression of jammy citrus. The rose is crisp and light with a fizzy bite to it that leads one to think of pearlescent dew drops dripping from blush pink petals. The base is a soft breeze of musk. All together this makes for a joyful, calming rendition of rose that is as pretty as it is modern. So shake off any associations you have with the note and smell this immediately, because trust me when I say that it is one of the most beautiful rose fragrances ever made. 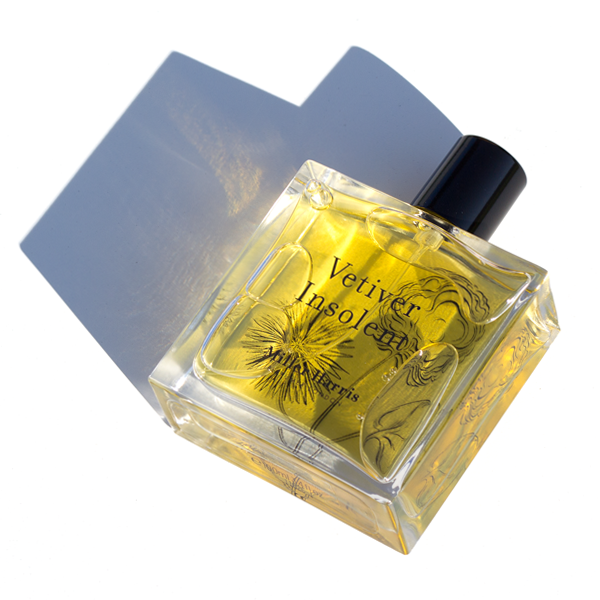 Vetiver is one of the staple materials in masculine perfumery. It’s also an incredibly versatile ingredient that boasts an odour profile filled with a wide range of facets. 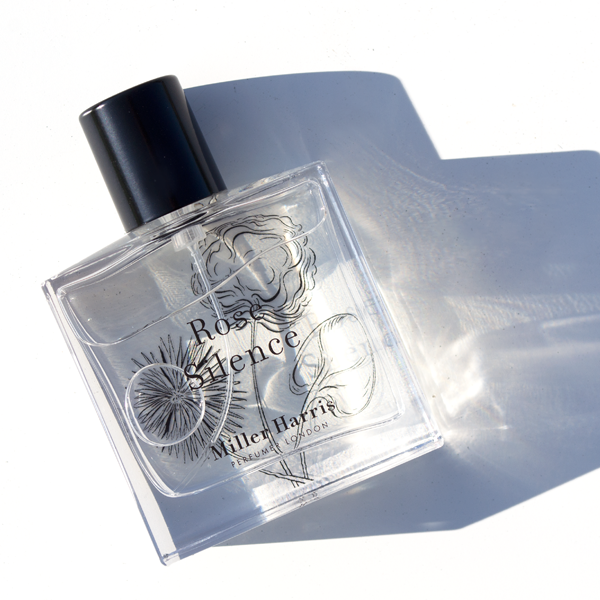 In Vetiver Insolent the eponymous material is paired with spice to create something exotic, twisting the note of vetiver into a unisex oriental. The rooty, sharp and spicy note of vetiver has its facets extended by cardamom and anise, whilst a rich base of moss, tonka and myrrh add a contrasting plushness. Vetiver Insolent is not your typical vetiver – instead of barbershop freshness, it celebrates the darker side of this famous material, giving the impression of shards of blackened glass rather than blades of grass. Notes: Bergamot, Tangerine, Elemi Gum, Iris Butter, Incense, Cashmere Wood, Styrax, Patchouli, Vetiver, Leather, Amber, Birch and Labdanum Absolute. 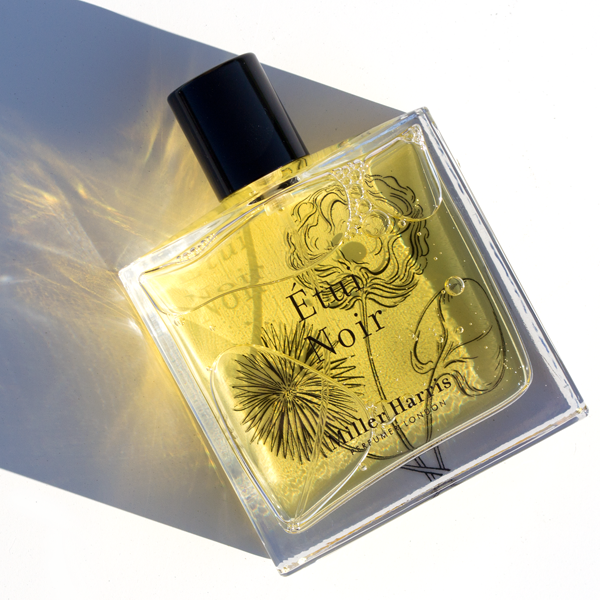 You’ll have learned that these highlights from Miller Harris are anything but typical and our final scent on the journey, the deeply dark Etui Noir, is most definitely not your typical take on leather. Leather fragrances can often be hard work. They can be smoky and dry, with a tar-like bitterness that makes them overwhelming. But the Miller Harris approach to leather is somewhat lighter and more unusual. This is an essay in leather and iris, creating the impression of something aged and dusty, perhaps a vintage bag (‘Etui Noir’ is French for ‘Black Case’) or a pair of gloves. The opening is fresh and cool, with a vegetal bitterness evoking black ink on old parchment. As it progresses, Etui Noir becomes thicker and richer, with an unctuous iris note that feels buttery and doughy. The base is all soft amber and labdanum, bringing forth an auburn warmth that colours Etui Noir with the earthy shades of autumn. It’s a case filled with mystery and intrigue. This entry was posted on Wednesday, August 23rd, 2017 at 11:52 am and is filed under Brand Focus, Candy Perfume Boy, Fragrance. You can follow any responses to this entry through the RSS 2.0 feed. You can skip to the end and leave a response. Pinging is currently not allowed.